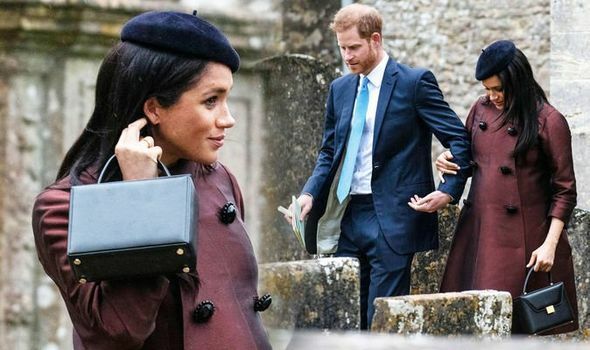 MEGHAN MARKLE, 37, carried a very pricey new bag to Zara Tindall’s christening for baby Lena yesterday. The Royal Family attended church for the event, including the Queen. Meghan’s Victoria Beckham bag was very expensive. 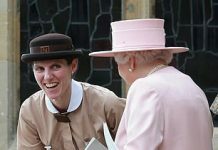 Meghan Markle’s fashionable ensemble for Zara Tindall’s christening yesterday cost quite a large sum. 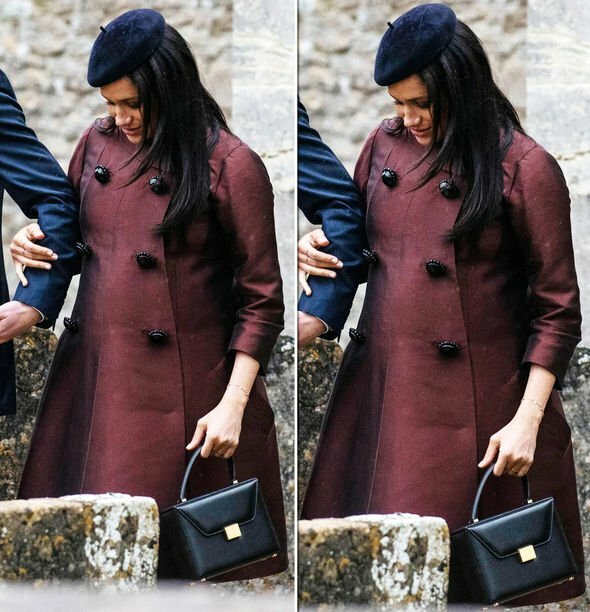 She wore a maroon vintage swing coat with huge buttons, that fit over her large baby bump. The coat was from William Vintage. A similar William Vintage 1965 flared midi coat is selling on resale site FarFetch.com for £675. She also wore a navy velvet beret, which was a bespoke piece from Stephen Jones. 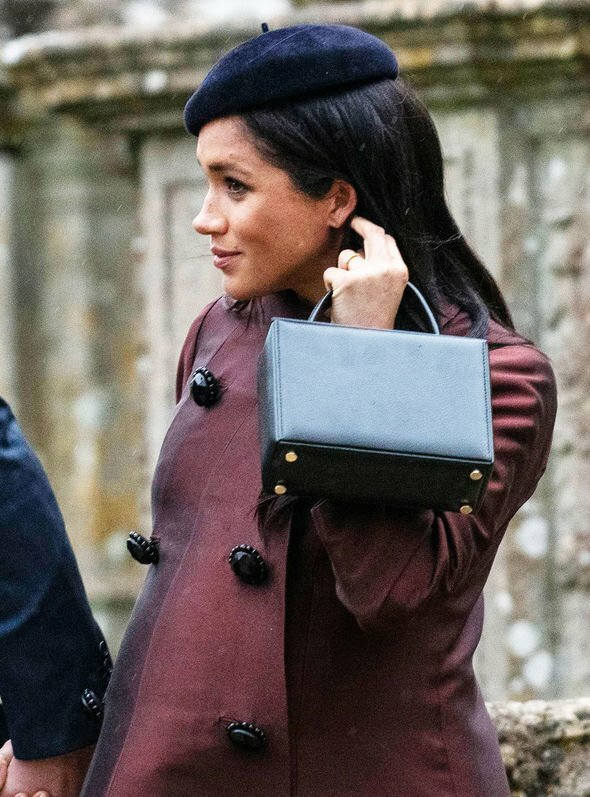 Meghan carried the Victoria Beckham ‘Vanity Box’ leather tote, which costs £1,695. Victoria Beckham is said to be a close friend of Meghan’s. 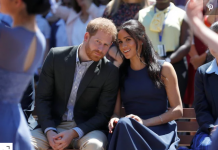 In fact, Meghan Markle might have a second baby shower so she can invite the likes of the fashion designer. 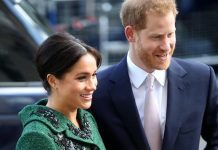 Royal expert Russell Myers told Lorraine: “Rumours are that she is planning to have another one. “If she does have another one I’m sure it will be a more staid affair than the last one.